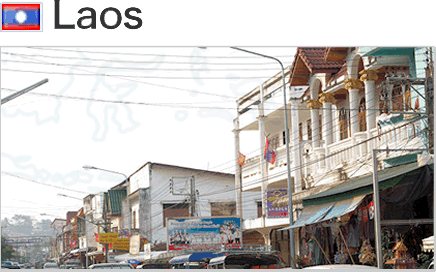 Through its involvement in the Global Center of Excellence (G-COE) project, the Graduate School of Environmental Studies has thus far focused its research on globalization-driven livelihood changes in rural and suburban communities of Laos. Going forward, the School will team up with local researchers to study and solve environmental issues that have emerged in Laos as part of the country’s rapid economic growth. Nagoya University has established a satellite campus in Laos with the aim of training human resources who can help formulate agricultural and forestry policies, environmental policies, and urban development policies in the future. To this end, the Transnational Doctoral Program offered by the Graduate School of Environmental Studies is tailored to the needs of government officials who hold a master or equivalent degree in a field associated with environmental studies, the University is proactively recruiting students who demonstrate a passion for resolving local environment problems and wish to pursue corresponding academic research. Applicants must be government officials or staff of international organizations holding a master’s degree or equivalent in a field related to environmental studies. Applicants must have a suitable topic for a Ph.D dissertation and be already set to conduct research and collect relevant data for the topic. A recommendation letter from your organization will be required as part of your application. See non-student section for each department in general information (a PDF file). Please note that each department may follow distinctive policies for admission. To know more about us, click below. Aside from completion of an appropriate research based dissertation, it is expected that the student enthusiastically engages in academic research and writing for publication in international journals. The faculty members are highly specialized and respected academics in various fields. To learn more, click below.